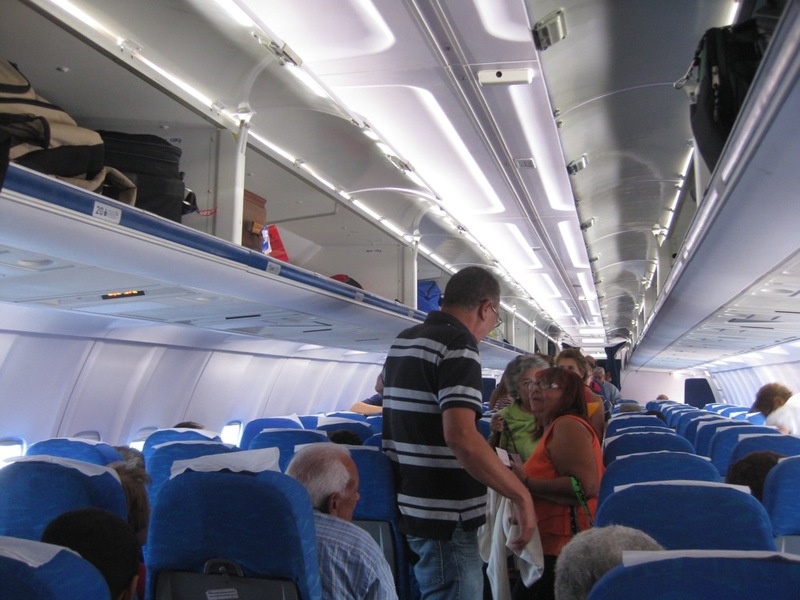 As of mid-2012, Americans aren’t allowed to travel to Cuba. Everybody knows that. But what would it be like if a couple Americans were to travel to Cuba, in defiance of the wonderfully Orwellian TRADING WITH THE ENEMY ACT? We spent 10 days dreaming about what this would be like. The following posts will detail the purely fictional results of this thought experiment. So if you ever are under the impression that we in fact did go to Cuba, just remember: we did not go to Cuba. Regardless of what the following posts may imply. Our imaginary trip started, as many imaginary trips to Cuba do, in a Cubana jet built by the Russians. I’ve gotta say, it’s actually a pretty nice plane. Plenty of overhead bin space. The only sketchy thing is that the landing gear raising and lowering sounds like a bicycle failing to shift gears. Havana, a city unlike any in the world. 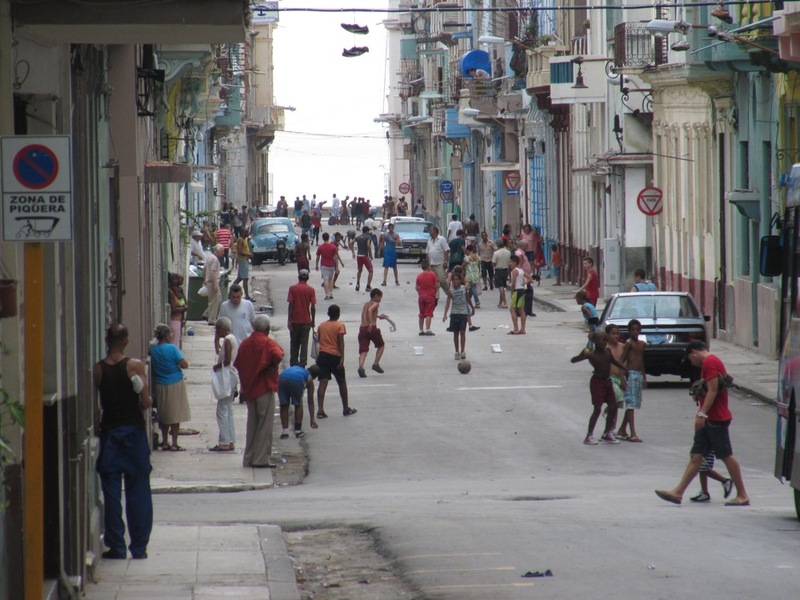 One thing that’s surprising about Cuba is just how barebones everything is. On paper, Cuba is among the wealthier countries in Latin America, but it feels poorer than Nicaragua, even poorer than Haiti at times. Wages for government workers–and we’re not just talking teachers and police and so forth, as the government employs workers ranging from ice cream vendors to doctors–are typically on the range of US$10 to $50. A month. You also notice, if you patronize businesses (to the extent they can be called businesses) run by the government and intended for normal Cubans, everything is absurdly cheap. We ate lunch at this government-run Italian restaurant (“Comida Italiana”, as it’s creatively named). I had a pizza and Caroline had spaghetti. We shared a beer (the only packaged and thus safe drink on the menu). 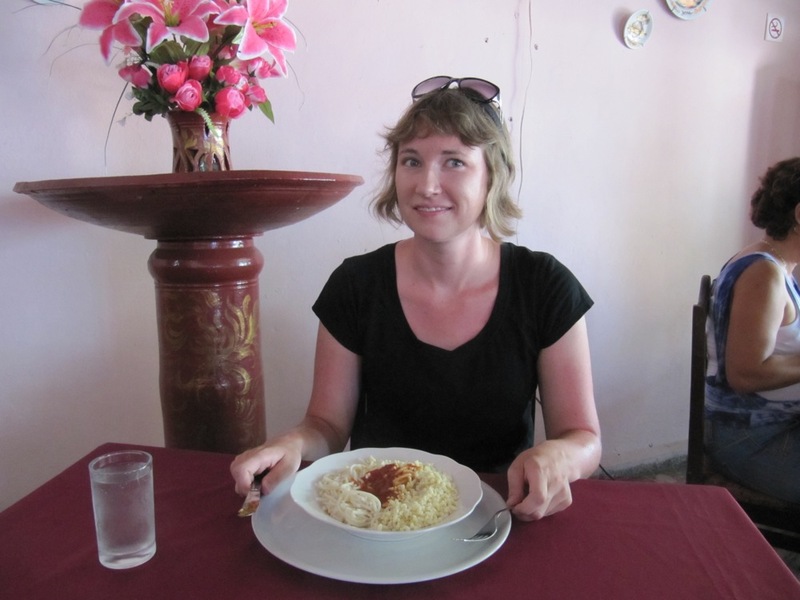 Our bill came to a whopping 27 pesos–just over a dollar. Unfortunately, everything an American conservative would love to hear about a government-run (insert business type here) is pretty much spot on. At Comida Italiana, service is brutally slow. Whatever they wash the napkins in is particularly attractive to flies, so when you sit down at a table with napkins, it will be matted with flies. The first thing the servers do is take away the napkins. This particular restaurant manages to be 24 hours in theory, but strictly regiments what can be eaten when, and when the restaurant is closed. At 11:45 AM, people will be waiting outside, and the staff will be waiting inside, tapping their feet. Everybody waiting for opening time. Needless to say, the food itself in Comida Italiana was bland, unappetizing, uninspired. 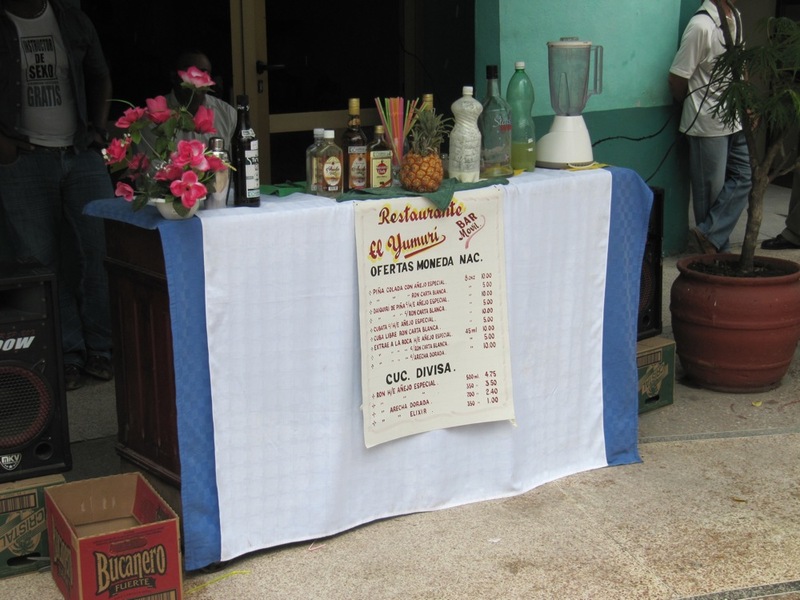 Alcohol in Cuba is outrageously cheap. These drinks, priced in dollars, would seem a bit expensive ($5-$10). But they’re priced in pesos, 25 to the dollar. 20 to 40 US cents for a late-morning cocktail. Whether it’s unusual terminology in Haiti or three different currencies in circulation at once in Zimbabwe, we’ve had to deal with plenty of confusion. Cuba has two currencies: the CUC (convertible peso, equal to a US Dollar) and the peso (worth $.04). The CUC was designed to be the sole currency for foreigners. In many places, foreigners pay in CUC while locals pay the same prices in pesos. 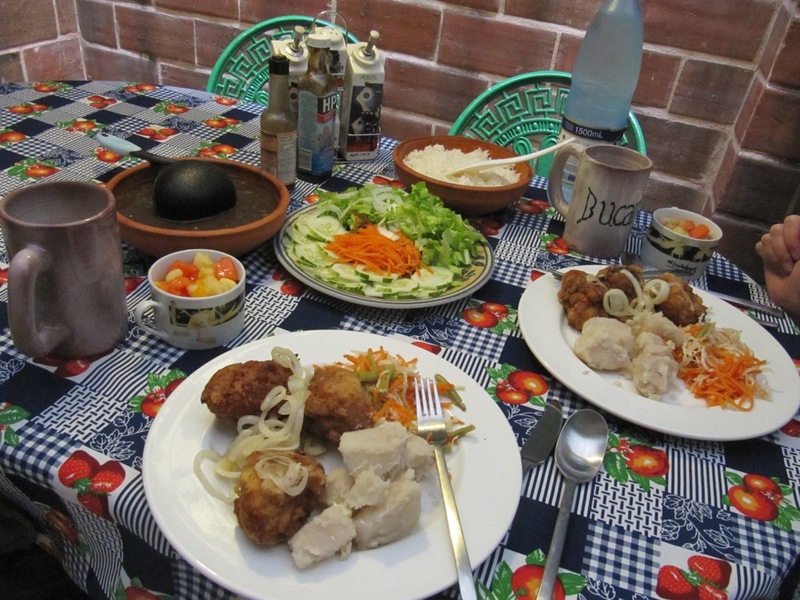 In practice, rich locals shun pesos entirely and only use CUC. Tourists need to have pesos on hand to get through small transactions (such as buying ever-crucial ice cream on the street). 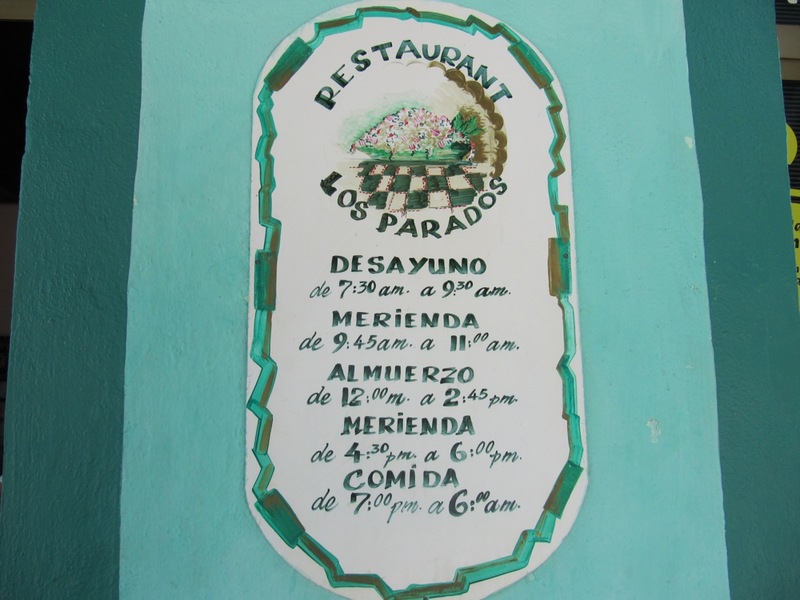 Often, looking over a menu or something, you legitimately can’t figure out whether the prices are in CUC or pesos. You have to look around and say draw conclusions like “No, there’s no way they could sell a bottle of rum for $57 CUC, so the prices must be in pesos”. Asking is embarrassing, but the prices really are bizarre and unpredictable: a two-cent cup of coffee isn’t out of the question in Cuba. This shocking currency disparity leads to some pretty disheartening stuff. Street touts–low level scammers–are among the worst in the world. Cuba can go head-to-head with Ethiopia in that regard. One successful scam a month is more than enough to put you in a better spot than you would be working for the government. People put themselves in all sorts of degrading positions–old ladies doing silly dances out in the heat all day–in hopes an amused tourist will toss them a CUC, which would take days to earn by working for the government. 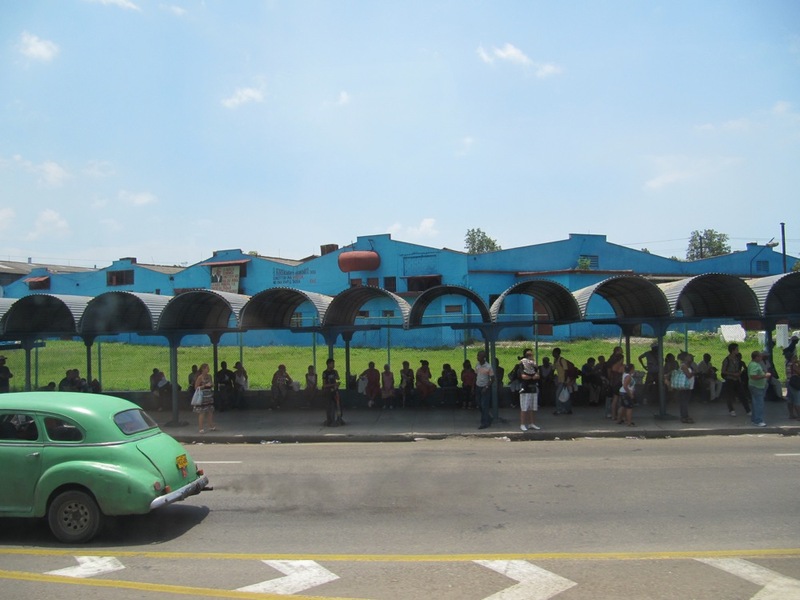 Transport in Cuba is probably the worst in Latin America. 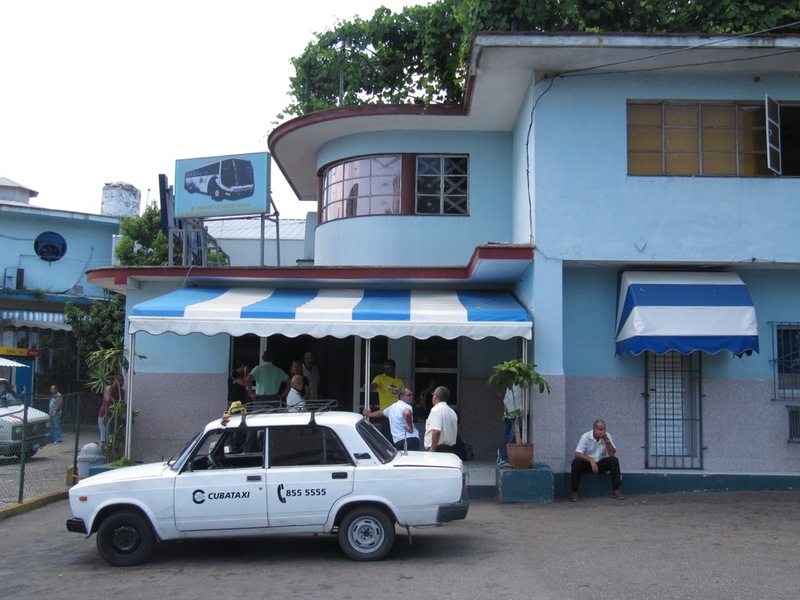 Bus tickets are cheap–for Cubans. But the timetables of the government monopoly are comical. I checked using the bus system to get between a couple nearby cities–the provincial capital and the second-largest city in the province. There are two buses daily: one bus left at 4:30AM, the other at 8PM. This is one of the few Cuban bus routes that was even open to foreigners (or at least was ambiguous about being open to foreigners–most are unambiguously closed to foreigners). In Nicaragua, probably a score of buses would ply this sort of route, with conductors eagerly hanging out the door, trying to attract as many riders as possible. The result? There are masses of people waiting on the outskirts of every Cuban town and city just sitting, waiting, hoping for a ride to wherever they need to go. Nobody can afford to pay for gas to hire a car anywhere–nobody on the government payrolls, at least. 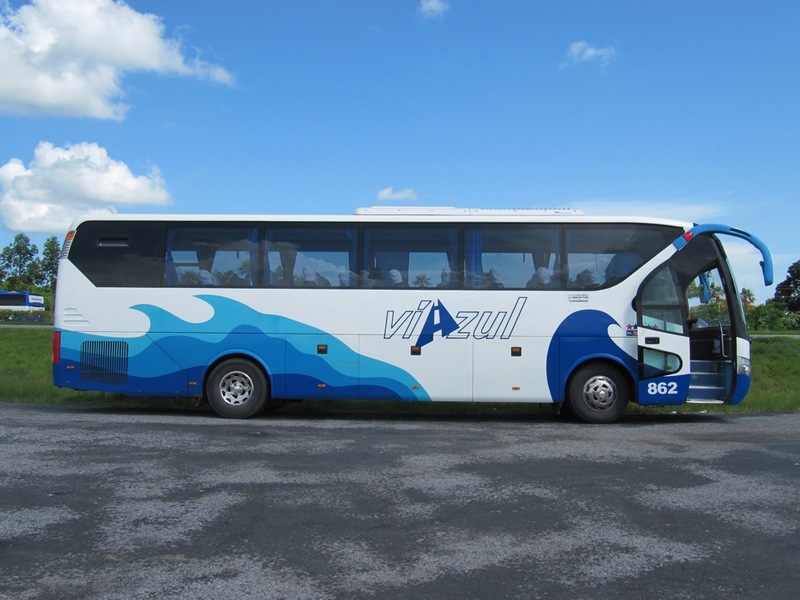 The government–tolerating tourists only as a means to generate foreign exchange–created a monopoly transport company to ferry tourists from city to city: Viazul. Viazul provides relatively slow and expensive, yet somewhat comfortable, service between tourist hotspots. Want to go to a non-tourist-hotspot? Good luck. I hate tourist buses, as does Caroline. Anybody who reads this blog regularly should realize that we prefer local transport whenever possible. But in Cuba, it’s rarely possible. Another workaround of the government monopoly: casas particulares. Houses with rooms for rent, an alternative to the dingy, mediocre, expensive government hotels. 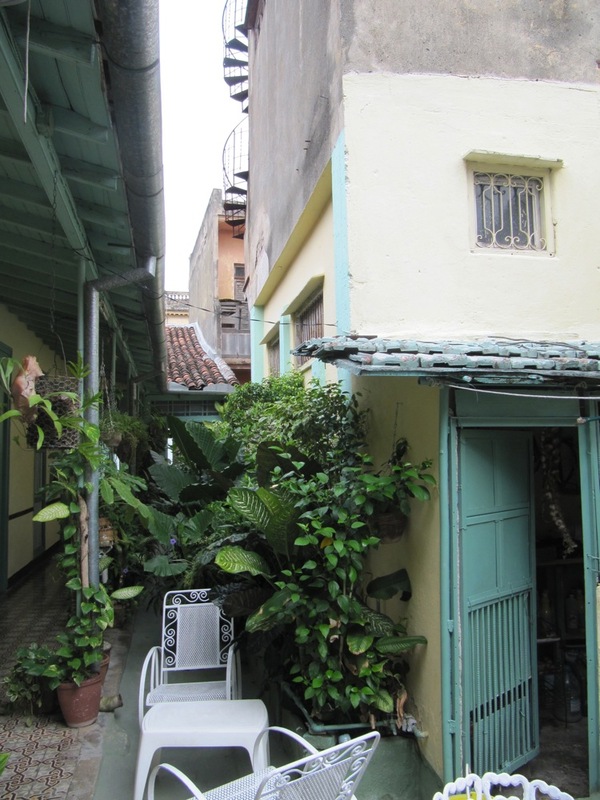 The whole idea is a bit farcical–in no other country I’m aware of is this the dominant form of accommodation, but in Cuba, it’s the main way for locals to get in on the absurdly lucrative tourist trade. You know those $10-$50/month wages I was talking about? What if you can get $25 US per day, per room? And that’s just the beginning. Casa owners will jump at the opportunity to do anything for you. Cook all your meals, make you drinks, sell you cigars, rent you a bike or horse, find you a guide, find you a taxi, do your laundry. Pretty much anything you could conceivably want, you can get from your casa owner. For a (typically reasonable) price, of course. Each casa turns into a major employment center. At one place, there must have been 20 people employed to do all the various jobs the casa needs: laundry, cleaning, cooking (different people for breakfast and dinner), everything. Sometimes, they feel like a facade for a hotel. We stayed at one place where we learned the kitchen was fake. The couple who “lives there” never spent a moment in the house except to sleep. Their time was spent in nearby houses also owned by the family, at the back of the lot. The facade isn’t really there for tourists: it’s for the government. You can’t run a hotel; you can rent a room. So they rent a couple rooms in their “house”. The government gets its cut, too: US$150 per room, per month tax. I’ve been ragging on Cuba a lot, and have ignored many of the country’s incredible accomplishments. Its life expectancy recently edged above the US. It provides thousands of doctors throughout the world who work in terrible places few others are willing to. It maintains among the highest living standards in Latin America. But Cubans simply don’t seem content anymore. Chile, Mexico, Panama, and Costa Rica are all starting to rival–even overtake–Cuba in different development categories. 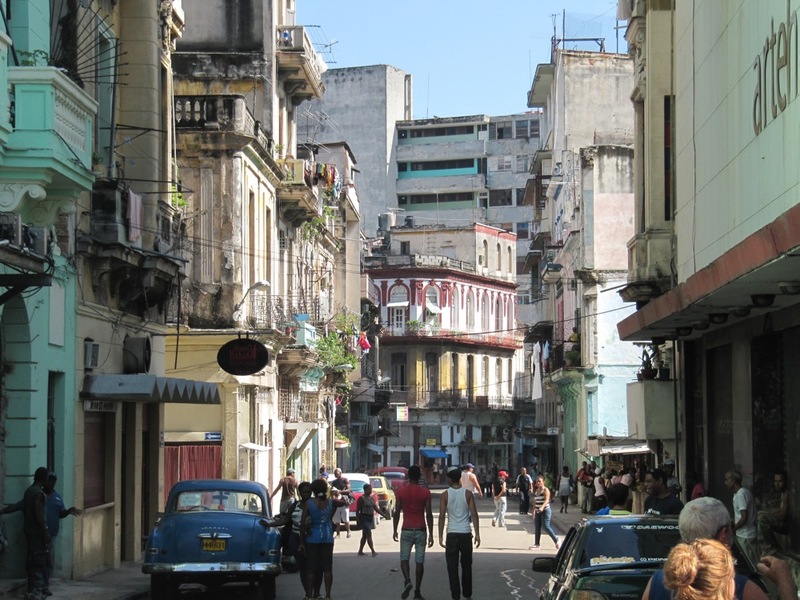 Cuba’s population is shrinking, and, except for tourism, the economy is perpetually flat. Government employees–working hard on trains or in the back rooms of diners–are miffed at the new elite that earns CUCs by catering to tourists and enjoys imported luxuries a government employee couldn’t ever hope to afford. It’s a wonder anybody is even willing to work for the government anymore. There’s a growing sense that it’s all going to come to an end soon. Which makes it a perfect time to visit, right?